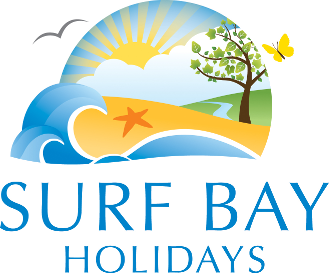 Surf Bay Holidays was founded in 1905 as Taylor's Western and has continually expanded and grown under the ownership and personal management of the Taylor family. Our Head Office is located at Winkleigh in Devon and we are proud to be able to supply new static caravans & lodges to caravan parks across the South West from Cornwall right up to Sussex. We provide leading manufacturers including ABI, Swift and of course Atlas Leisure Homes. So, whether you are an existing static caravan or lodge owner looking to upgrade your holiday home or you are starting out not knowing which holiday park to choose or which new static caravan or lodge would suit you best - we can help. Our Park Finder section is a useful tool for anyone still in the decision making process. However, if it's a pre-owned/used holiday home you're looking for to use as on-site accommodation during a self build/renovation project or a simple storage solution, we can help too! We have the largest permanent display of used static caravans & lodges in the country, so you're in good hands! We are sure you will be impressed by the wide choice of holiday homes available to you. Our sales team are on hand to help you find your dream holiday home that suits your needs and is within your budget. Visit ourUsed static caravan & lodge page for more information. We can also supply new lodges and used timber lodges (luxury log cabins) for use on your own private land or on a holiday park of your choice. Visit our Park Finder section for further information where you can also arrange a park visit or ask any questions regarding a potential purchase of a static caravan or holiday lodge with us. The Surf Bay Holidays of today is also now one of the most respected holiday park operators in the country. We are committed to giving exceptional customer service and dedicated to the highest standards of quality on all our holiday homes and developments. This is clearly shown by the type of awards received by our parks in the group. We now also operate 3 quality holiday parks in Devon and Cornwall for families and couples in caravan holiday homes, apartments and timber lodges. Two of our parks provide superb opportunities for holiday home ownership. Our aim is to ensure every aspect of your holiday home buying process is made simple and enjoyable both before and after you move in. Click here for more details.